As you may have read from my previous shaving product reviews I can be a bit picky when it comes to shaving products. 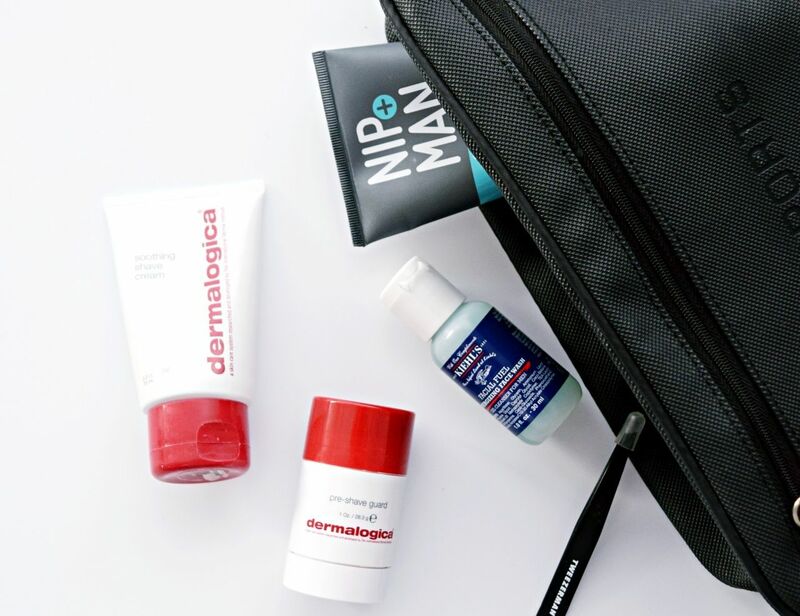 When I was recommended the Dermalogica range I wanted to see how their shaving range compared to my current favourite shaving products and if they would fit in well with my routine. So I opted to try the shave system kit, within the kit are four products; Daily Clean Scrub, Pre-Shave Guard, Soothing Shave Cream and Post-Shave Balm, all in a smaller version, which I think is a great way to try out a new range of products. The daily clean scrub is as you guessed an exfoliating product. The daily clean is designed to help you clean your skin and actually prep your skin for a closer shave. The first thing you will notice with this product is how different the cream feels in your hand, the cream is really rough and feels more like sand, which is actually the silica beads. The beads help reduce oil in your skin and dying skin cells, as well as helping to minimise ingrown hairs. Something I found with the scrub is you must prepare your skin and beard before using. I would advise ensuring your skin is damp to wet and I recommend it being steamed first. When you apply the scrub to your face, massage in circular motions, you will instantly feel your skin cleaner and then ensure you wash this off with warm water to remove all the residue. The pre-shave guard is designed for all skin types and works particularly well with guys with thicker or coarser beards. The guard was my favourite product in the range from Dermalogica. It is a roll on and it is very easy to apply, rolling it onto your wet cleansed face in up and down movements it covers your face well and allows you to see what you are shaving. You will notice if you use a gel or non-foam based shaving product that the pre-shave guard is slightly thicker meaning your razor will need washing and rinsing at almost every stroke. It does leave your face very smooth and gives a very close shave. Dermalogica recommend you use it with the soothing shaving cream, personally I preferred it without. Unlike many shaving creams, this is actually a shave cream that helps to sooth your skin whilst shaving. Apply it to damp skin and shave normally. The soothing shave cream includes aloe vera which is great for sensitive and dry skin and does help to reduce friction and shaving rashes / burns.Dermalogica recommend to use this shave cream with the pre shave guard and I think it works well together. Although the product definitely does work and gives you a super close shave it’s worth taking note it’s a pretty thick cream and requires a lot of rinsing, so it can be difficult to get out a Gillette Mach razor blade. As you might expect the post shave balm is designed to reduce redness and calm irritation. As someone who suffers from ingrown hair I was pleasantly surprised, the product is specifically designed to minimise the risk of ingrown hair and after I have been using it, so far so good. Dermalogica recommend to use on your recently shaved face (or body) and allow time to absorb the balm into the skin. The post-shave balm is very lightweight and unlike many after shave balms you cannot feel a layer on top of your skin allowing it breath. All in all it’s a very good range and I will definitely be purchasing the pre-shave guard again. 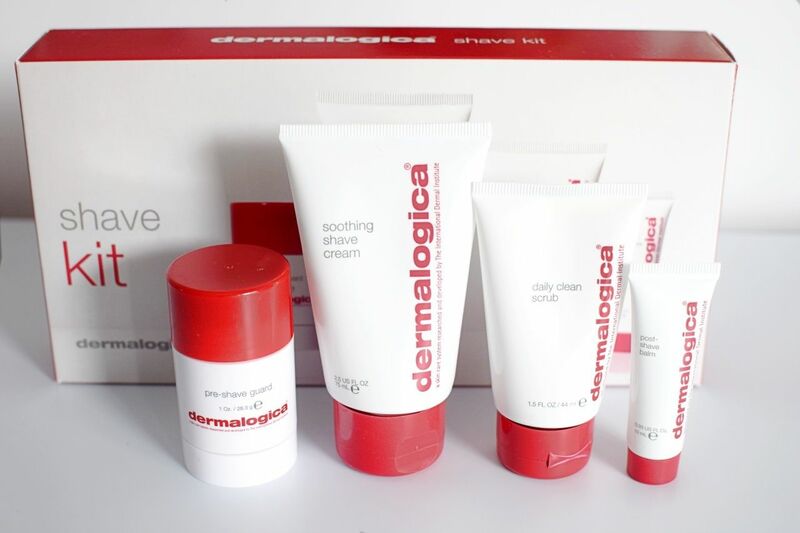 You can purchase the Dermalogica starter kit for £39.55 at pure-beauty.co.uk.